General. Our research group uses organic synthesis and biochemistry to study fundamental and applied aspects of molecular recognition of non-canonical nucleic acid structures. Through synthesis and design, our group develops new functional polymer, peptide, lipid and nucleic acid assemblies to address problems in controlled chemical delivery and biosensing. 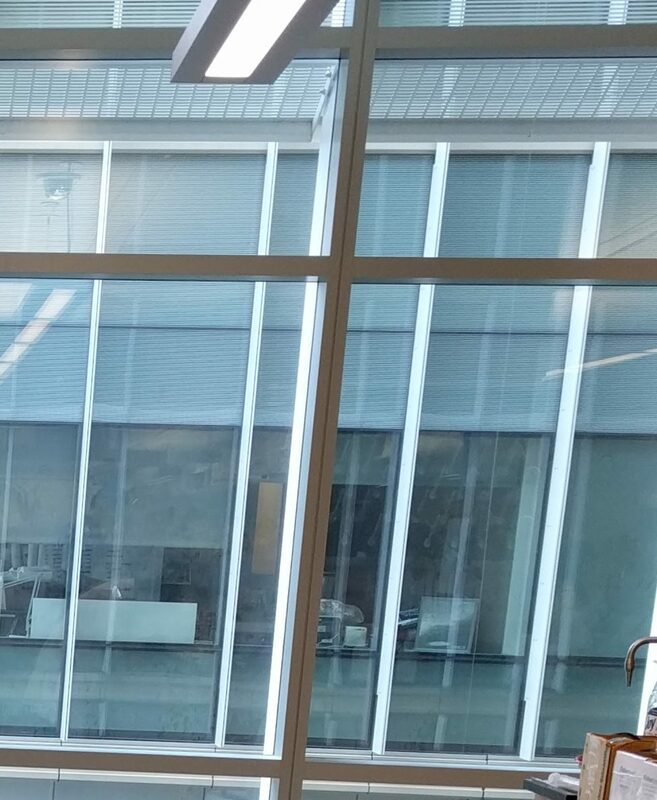 Though each research effort is grounded in organic synthesis, these synthetic systems are interrogated using biophysical, biochemical and cell culture methods. on the use of an unnatural triazine heterocycle, melamine, as an artificial base triple with U/U or T/T. When displayed multivalently, the melamine base engages with two Watson-Crick faces of thymine/uracil in DNA/RNA, resulting in the formation of triple-stranded hybrid structures. 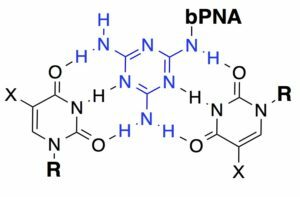 Synthetic triplex hybridizing molecules that utilize melamine as a base triple are in a family of molecules we call “bPNA” to represent bifacial [Peptide/Peptoid/Polymer] nucleic acid, according to the backbone used for melamine display. We have studied bPNAs as allosteric switches for aptamer binding and ribozyme catalysis, as well as packaging and targeting elements for siRNA delivery. Current research continues along these lines. Welcome to our new postdoctoral researchers, Dr. Shekar Devari and Dr. Debmalya Bhunia!